It’s been a bit on the chilly side where I live. In fact it hasn’t been above freezing for more than a week. Temperatures fall to the low teens at night and sometimes into the single digits. We’ve had a few snow storms and with a snow-covered landscape, it even looks cold outside. While touring about in the new area in which we live, I passed by an old barn and a glint of light caught my eye. I went back for a second look to see what had flashed as I drove by. I pulled over next to the barn and discovered a large mass of brambles covered in ice climbing up the side of the structure. Sunlight was beaming through the ice creating a chandelier of huge proportions. I had to find a way to get the shot. I only slipped once, okay twice, while I positioned myself, camera, and tripod in the shadow of the barn. It was the only way I could get the shot so the sun would shine through the ice and not directly into the lens. Apparently the sun had melted some of the snow from the roof of the barn even though it has been so cold. 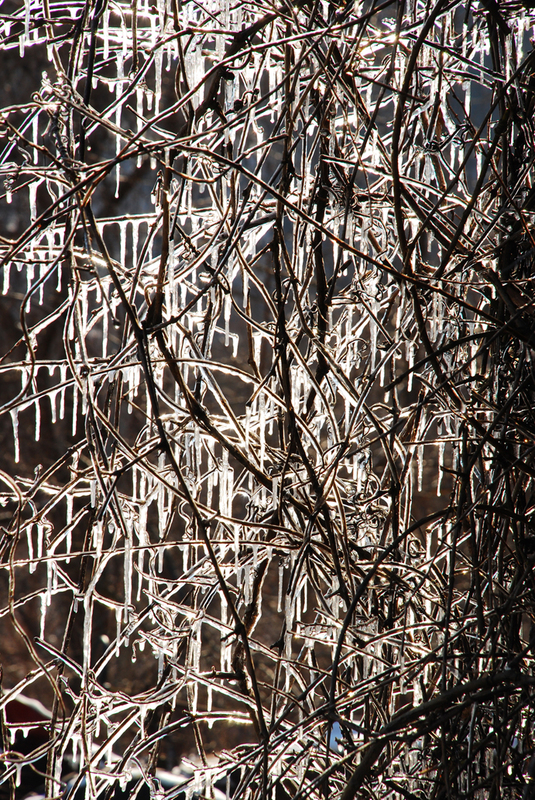 As the meltwater would drip onto the vines it would then refreeze creating hundreds of of icicles. Whenever I see boats in the water, I have this insatiable longing to be around them. I’m pretty sure this passion for boats began when I was eight years old. That summer, my mother bought me a wooden toy sailboat made by Star Yachts in Birkenhead England. I would tie the end of a spool of kite string to the bow, take it to the ocean’s edge and let it sail into the waves towards some far away land across the sea. When the boat was well on its way across the Atlantic and I only had a few feet of string left on the spool, I would give a tug on the string and turn the boat towards me. After it made it’s way back to the shallows I would turn it out to sea and repeat the process again. And again…all day long. The little yellow sailboat brought me many hours of joy. A few years later I progressed to other things that float such as canoes and kayaks. And I even learned how to sail a big person’s sailboat. I love boats of any size, shape, or construction, but my true passion is wooden boats. In fact, owning a wooden boat has been a dream of mine for many years. So I built one. Well…actually two…although, they are on a much smaller scale than full size. 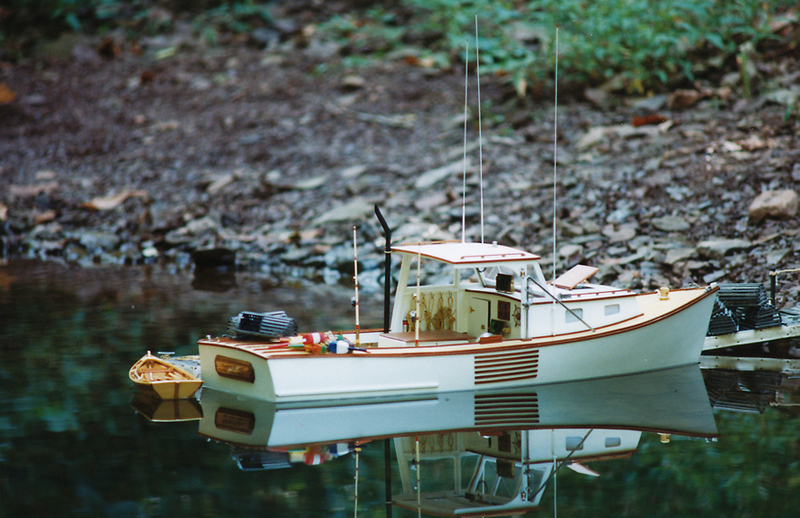 This is a 1/12 scale model of a typical Maine Lobster Boat. I built everything you see in the photo. The dock, buoys, skiff, lobster traps, and the lobster boat itself, are all made of wood. The vessel is radio controlled and I can pretend I am at the helm and control speed, direction, and various lighting systems I installed. Even though I built this boat several years ago, she looks as good now as she did when I first launched her. And whenever I need a boating fix, all I have to do is look up to the shelf above me, and there in her cradle sits the Maiden Marie. We may live a few hours from the sea, but my pride and joy, the Maiden Marie, will take me in my dreams anywhere I want to venture. I suppose I’m still a little boy at heart. Recently I came across a group of plants growing in a bog garden I have never seen or even heard of before. 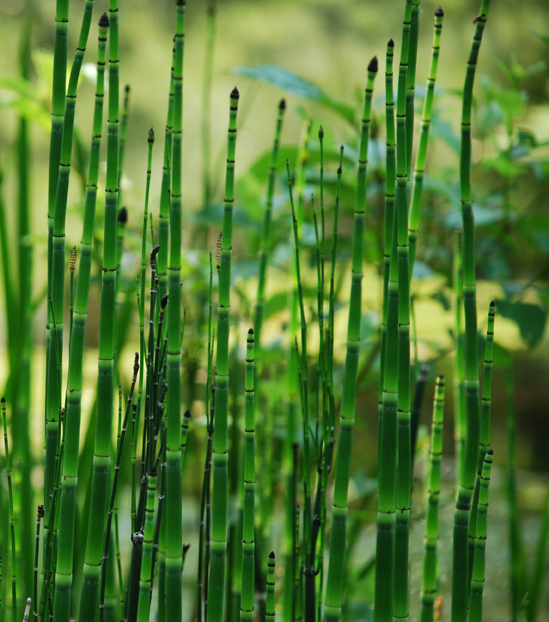 They are known as Rough Horsetail, or Scouring Rush Horsetail. The botanical name is Equisetum hyemale. This species of plant is actually a living fossil and once dominated the late Paleozoic forests about 100 million years ago. Along with many other species of plants and animals from that era, it has survived and continues to flourish even today. 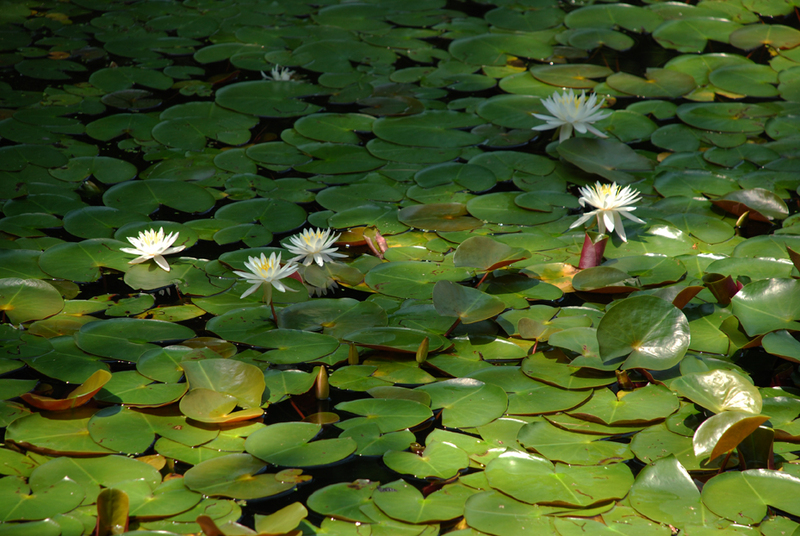 Water lily blossoms greeting the day under the shade of a willow tree. Last week the outside temperatures were more like late summer than late spring. Actually it was a heat wave that the blanketed the area. Since the majority of my photography is done outdoors, shooting under extremely hot conditions can be very tiring. And secondly, high temperatures, and blazing sun are a digital camera’s arch enemy. Sensors don’t play well under these conditions. So, to get some relief from the soaring temperatures and high humidity, I headed down to a local creek figuring it would be more tolerable stream side. And even though I was shaded by the canopy of trees, it was still rather tropical. 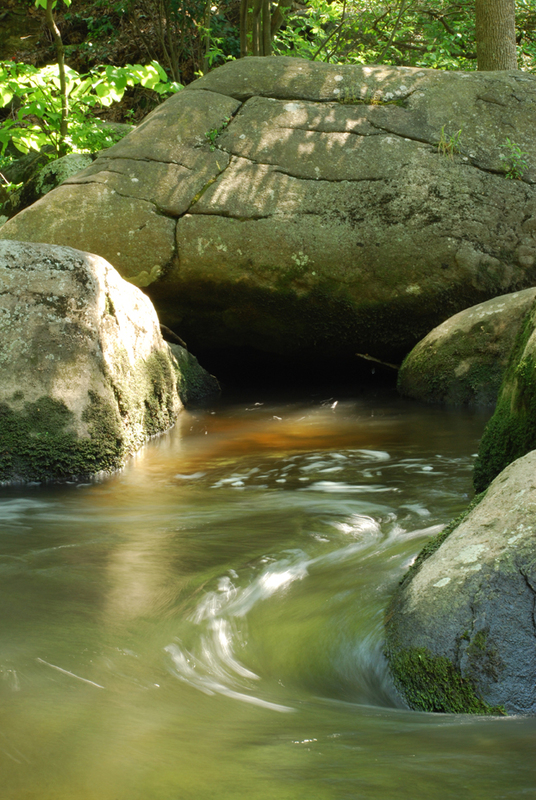 But the sound of rushing water tumbling over the boulders and rocks as it flowed down the mountain helped make it feel cooler. Saturday morning I ventured out to capture more of the autumn color surrounding us here in the woods where I live. I figured it may be my last opportunity before it was all swept away from the massive storm headed our way. The skies were overcast and provided a perfect even light. I was able to use shutter speeds of 1/60 of a second and slower. I also used a polarizing filter, which greatly improved the saturation of color, and eliminated the reflections from the leaves. 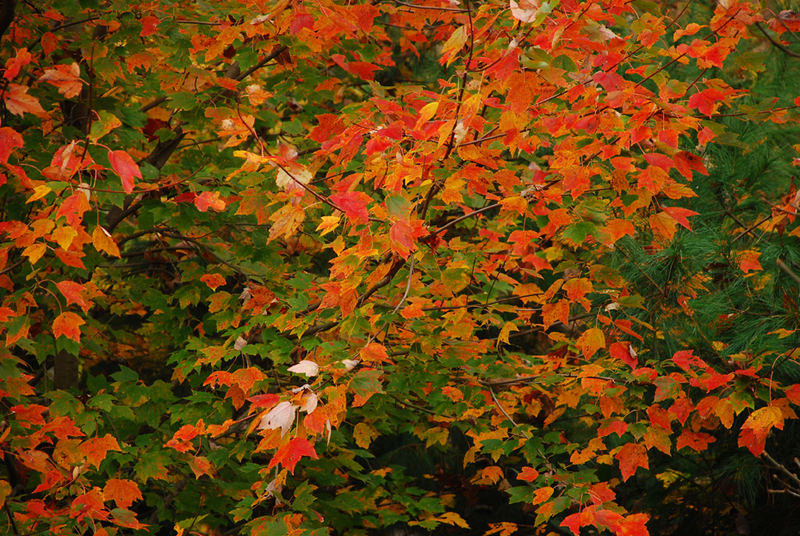 I found some brilliant maples with white pines as a background. 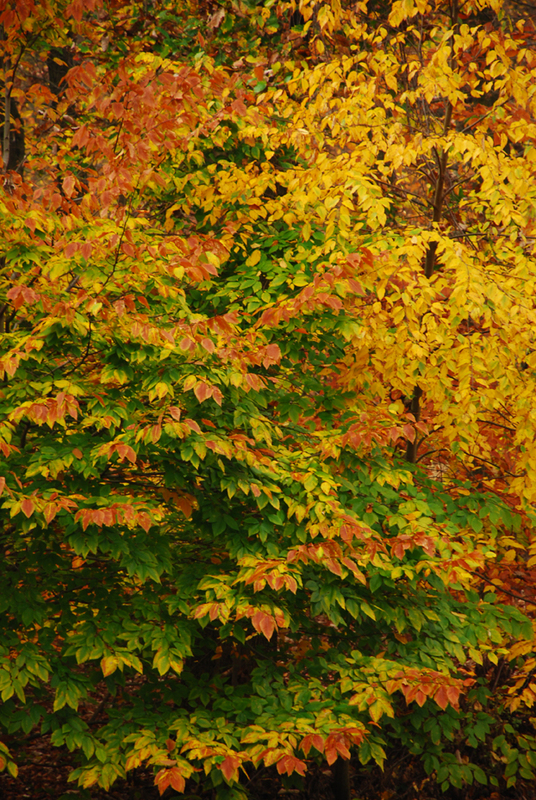 I also found a stand of young beech trees showing three different phases of their color transformation. At the time of this posting, hurricane Sandy is just beginning to make her presence known. It’s been showering off and on since Sunday afternoon, but now the rain is steady. It’s not raining sideways yet…that’s due to occur later today and into tonight, along with increased winds and heavier amounts of rainfall. I’m glad I had the opportunity to get some shots before the storm unleashes it’s fury.